Luxurious 5 bed+den home situated on a spacious corner lot boasting breathtaking mountain views.This beautiful 3 level home is designed w/an open concept layout&loaded with tons of windows,making it feel boundless.Open living&dining rooms flow into a spacious family room w/top of the line gourmet kitchen area offering Jenn-air s/s appliances, gorgeous dark cabinetry & a spacious island. Also offers a 2 car garage & full 2-5-10 warranty. 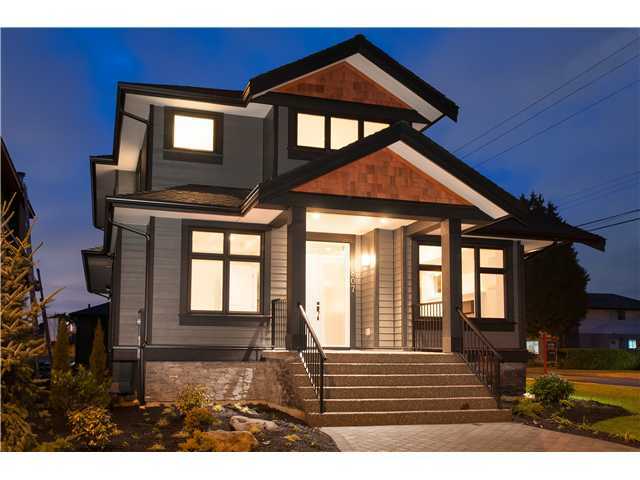 Located in the newly developing Sperling-Duthie area in sought after Burnaby North, within walking distance to Burnaby North Secondary School, Westridge Elem,Kensington Rec Center,Kensington Golf Course,transit&just a few blocks from Starbucks,banks&shops. Also just mins from SFU, No1 Hwy&skytrain. Floor Area 3,608 Sq. Ft. Lot Size 6085 Sq. Ft.